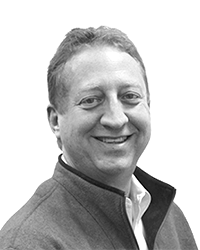 Dave is a veteran technology executive with experience managing teams ranging from 10 to 300 engineers, at small startups and Fortune 500 companies. Dave’s background includes experience in the enterprise, healthcare, mobile, gaming, and ecommerce industries. Prior to joining AKF, Dave was VP of Engineering at Raptr, a company dedicated to improving the PC gaming experience. At Raptr, Dave moved the company to an Agile methodology, deployed an analytics infrastructure which provided invaluable user and industry insights, and moved the technology stack from a scale challenged homegrown architecture to an architecture utilizing NoSQL, offering near unlimited horizontal scalability. Before Raptr, Dave was Sr. Director at eBay for 7½ years, a period of tremendous hypergrowth for eBay. While there, he held a wide variety of roles and responsibilities, including the migration of eBay’s codebase from C++ to Java, the introduction of outsourced resources, and the management of employees and contractors located across multiple continents responsible for eBay’s Search, Selling, Buying, API, and Classifieds functionality. Dave also led the technology due diligence for eBay M&A activities, including the acquisitions of Skype, Shopping.com, and StubHub. Dave has also held senior management roles at Magnet Systems, Acta, Vantive, WiSE Medical, Sybase, and Shared Medical Systems. Dave has a BA from Indiana University, and an MBA from Golden Gate University.